Thoracic surgeon Dr. Igor Brichkov is a member of the multidisciplinary Brooklyn Mesothelioma Program at the Maimonides Medical Center in New York City. Brichkov has been working with pleural mesothelioma patients since 2010 when he first joined the Maimonides Medical Center, the only full-service cancer center in Brooklyn. He works closely with Dr. Ory Wiesel, whose recent arrival sparked the creation of a specialized program that has allowed Brichkov to expand his role with pleural mesothelioma patients. 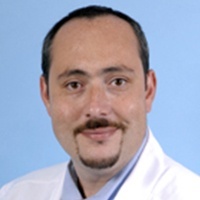 As a thoracic surgeon, Brichkov treats a variety of malignant and benign tumors and disorders of the pleural space, the chest wall and the mediastinum. He has played a key role in the expansion of robotic surgery at Maimonides, which has become more of a factor in the thoracic cavity in recent years. Robotics, which is known for its precision, is minimally invasive, resulting in smaller incisions and shorter recovery times after surgery. Brichkov started the lung cancer screening program for high-risk patients at Maimonides, which has become known for its emphasis on personalized care in a single location. The Mesothelioma Program includes specialists in medical oncology, pathology, radiology and surgical oncology, allowing patients from Brooklyn to receive the finest care possible without having to travel far from home. Brichkov also performs the VATS lung resection, radiofrequency ablation of Lung Cancer, and a minimally invasive esophagectomy. He previously served at the Rutgers Cancer Institute of New Jersey as director of Advanced General Thoracic Esophageal and Robotic Surgery. Brichkov earned his medical degree in 2003 from Albany Medical College. He served his residency at Maimonides. He completed his training with fellowships at the University of Pittsburgh Medical Center and the Albert Einstein College of Medicine. He is fluent in English, Russian and Spanish. He is board certified in general surgery and cardiothoracic surgery. Disclaimer: Dr. Igor Brichkov has no professional affiliation with Asbestos.com.